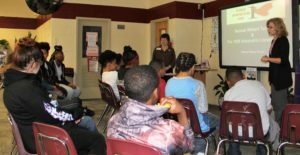 On the first day of National Library Week Davis Middle School Librarian, Nancy Terrell, invite me to spend a day with their 7th graders. 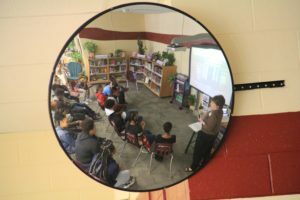 After they read Samuel Wilbert Tucker’s biography and learned about other people who overcame adversity, we talked about lessons learned from Tucker and the 1939 Alexandria Library protesters who simply wanted to borrow books from their public library. We talked about courage, persistence, and seeing and solving problems. 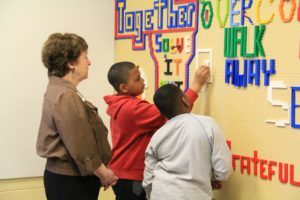 Their Lego Word Wall creatively demonstrated their understanding of strategies to overcome adversity. This was a day of celebrating the importance of libraries in communities and acknowledging the struggle to make them available to everyone.